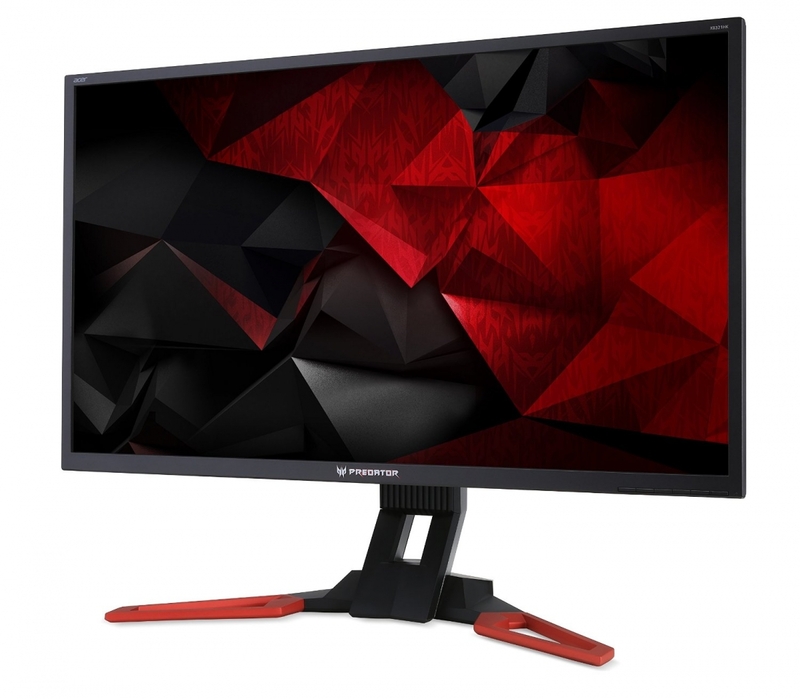 Acer has announced a new addition to their Predator line of gaming monitors: a 32-inch model with a 3840 x 2160 IPS LCD panel, packing a great range of gamer-friendly features including support for Nvidia's G-Sync variable refresh technology. To start with, the XB321HK's 4K panel packs a pixel density of 138 ppi, which is impressive for a desktop monitor. Acer also claims this display has 100% sRGB coverage, and 4ms response times despite its use of IPS technology. While G-Sync is included, the panel's refresh rate tops out at 60 Hz like most 4K displays. There's a pretty typical array of features on the monitor itself, including DisplayPort 1.2, HDMI, and a four-port USB 3.0 hub. The stand is both height and tilt adjustable, and there are two built-in 2W speakers with DTS audio that probably aren't all that amazing. On the software front, the XB321HK is equipped with customizable display profiles that gamers can easily switch between without having to use the on-screen menu. There are also options to adjust black levels for better in-game visibility, and EyeProtect technology for glare reduction and blue-light filtering. The XB321HK's feature set means this monitor won't be cheap; Acer is retailing it for $1,299, which puts it in the same price range as their popular Predator X34 ultrawide display. It's available now in North America through your favorite retailers, including Newegg and Amazon.